I know that I’m completely addicted to the combination of white walls and floors and rough-hewn woods. 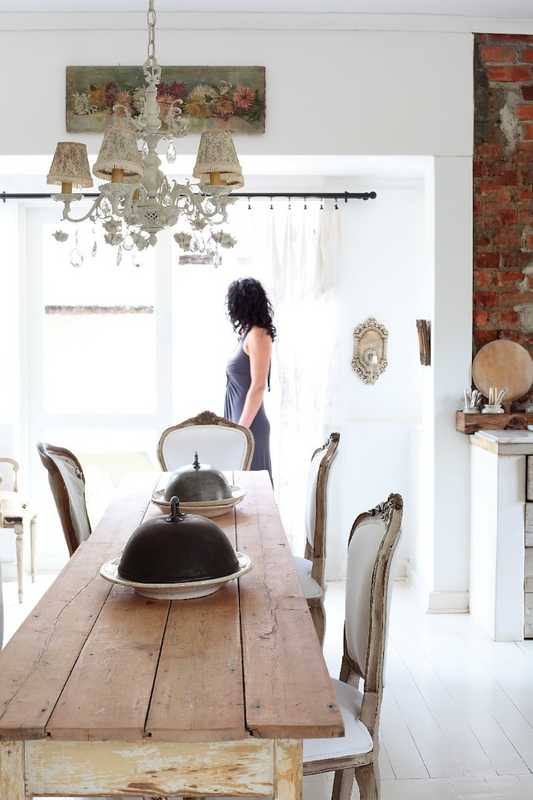 But please isn’t this combination just gorgeous when looking at this amazing home in South Africa. Everything is kept clean without unnecessary accessories and this made the wood simply shining. My favorite room here is the bedroom, which one is yours? Зная, че съм абсолютно пристрастена към комбинацията от бели стени и подове и красотата на суровото дърво. Но не е ли просто фантастичен начина, по който нещата са представени в този чуден дом в Южна Африка. Всичко е сравнително изчистено ( с изключение на кухнята, където много радват окото стените ) по отношение на аксесоарите и това прави дървото да изпъква толкова добре. Моята любима стая тук е спалнята, а коя е вашата? Maravillosas fotos! Unas estancias con mucha personalidad. La cocina es una delicia! Lo mejor, la mezcla de muebles antiguos con el blanco impoluto de suelos y paredes. I like the dining room and the kitchen. I like so much the table with raw planks and the contrast with the white rezin floor: beautiful! 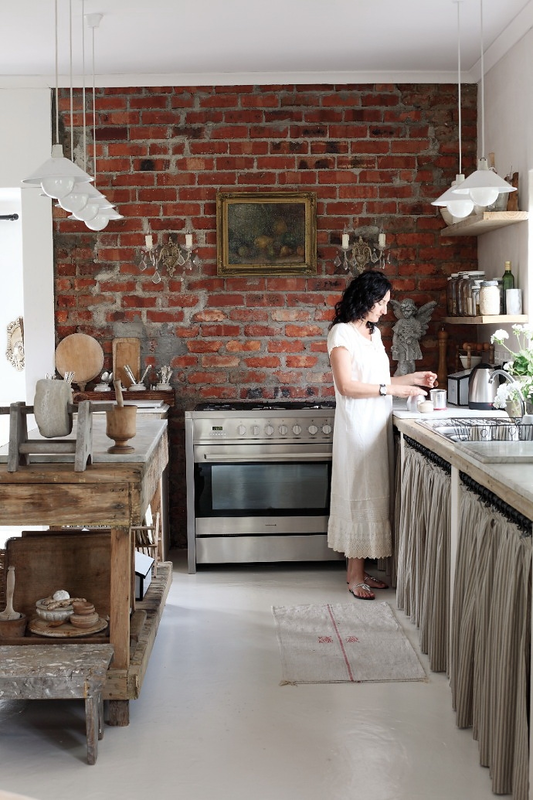 The kitchen is a great mix of rustic and delicate. Love it. 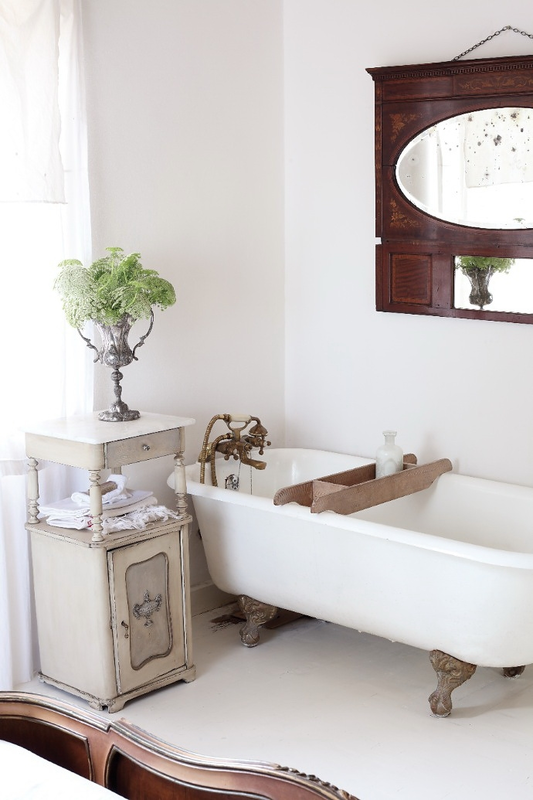 I can't get enough of that modern white, antique detail, and rustic wood combo. 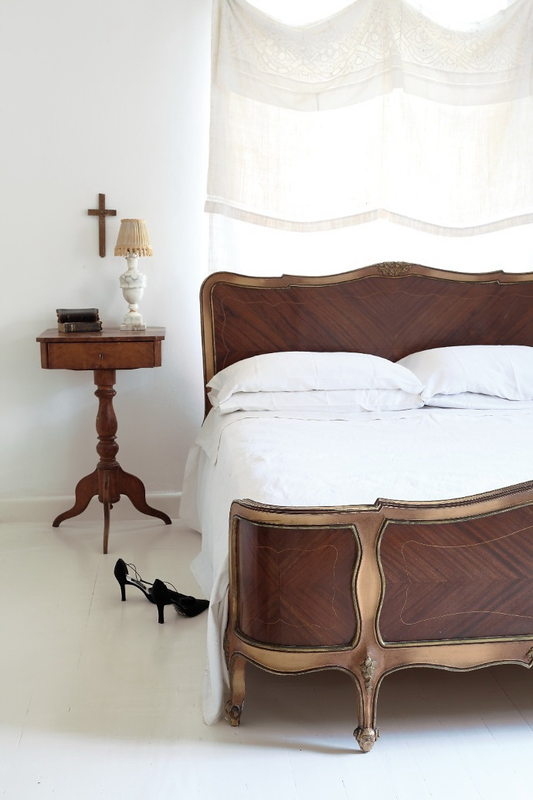 And the bed is GORGEOUS! 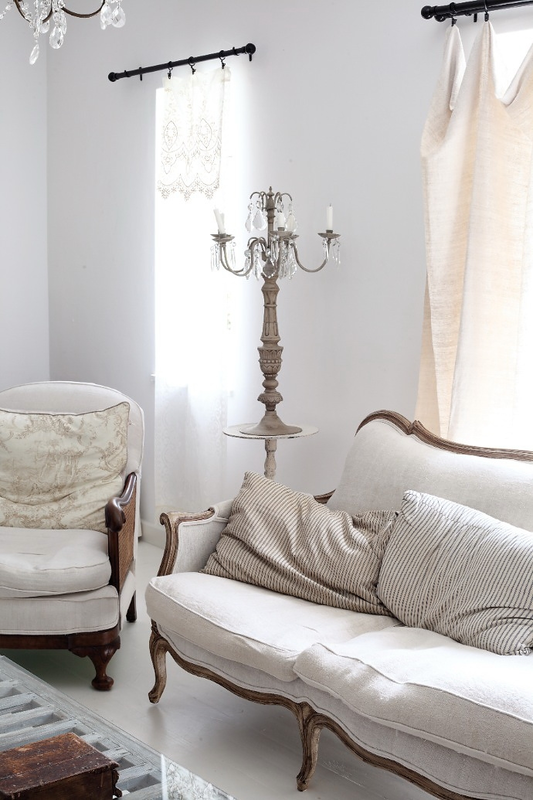 I am so in love with the white and rustic combo too. I can't really choose which room but I am pretty smitten with the kitchen and dining rooms. xxCorrina. Beautiful furniture and home gadget.